Attention Deficit Hyperactivity Disorder (ADHD) is one of the most commonly diagnosed disorders in children. Perhaps for this reason, it was often seen as being a problem that only affects children. In fact, until fairly recently, even some mental health professionals believed that adults eventually “grew out of” ADHD. Just like childhood ADHD, adult ADHD is a real disorder. It is neurological disorder (i.e., based in the brain) and has a strong genetic component (clearly demonstrated in studies involving identical and non-identical twins). Most studies have found that when a parent has ADHD there is approximately a 50% chance that their children will also have ADHD. This means that if one of your parents has ADHD, you are eight times more likely to also be diagnosed. Although approximately one third of those identified as having ADHD as children will no longer meet diagnostic criteria as adults, this obviously means that the majority will still feel the impact of ADHD as adults. 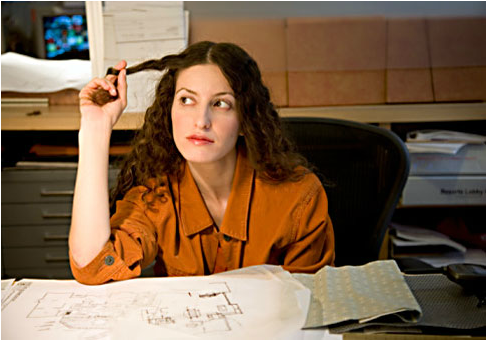 Most studies have found that 4-5% of all adults have ADHD. Note that ADHD is a dimension with considerable variability (such as human height), not a category in which you completely fall into or not all (such as pregnancy). As for what causes ADHD, research has conclusively demonstrated that sugar plays no role in the disorder, nor does watching too much TV, nor does playing too many video games, nor does any particular child-rearing practice. Again, it is a genetically-influenced neurodevelopmental condition that affects millions of people – including adults. Part of the reason why it was previously thought that adults cannot have ADHD is that the symptoms change considerably from childhood to adulthood. That is, even though ADHD remains as an adult, the expression of the disorder and the problems it can create are very different compared to childhood. For example, hyperactivity, which is common in children with ADHD, generally tends to fade over time in adults, while different symptoms / problems become more prominent. Only a qualified and experienced mental health professional (typically a psychologist or psychiatrist) can diagnosis adult ADHD. One of the difficulties in diagnosis adult ADHD is that even though we know that adult and child ADHD look very different…the official diagnostic criteria is largely based on how ADHD looks in children. At Green Leaf Psychological in Halifax, we offer adult ADHD assessments that are based on best-practice adult ADHD diagnosis and the most up-to-date research on how ADHD is actually expressed in adults. For example, the questions below (based on the work of Russell Barkley, one of the world’s foremost experts on ADHD) would not be very helpful in diagnosing child ADHD but are quite informative during an adult ADHD assessment. Get easily distracted by unimportant things happening around you or by irrelevant thoughts? Make impulsive decisions that you may later regret? Have difficulty stopping certain behaviours even though you know that you should do so? Start a new task or project without carefully reading or listening to instructions? Make promises but fail to follow through on these commitments? Have difficulty doing things in the proper order? Drive much faster than others? Not enjoy more quite or leisurely activities? Have difficulty staying focused during tasks requiring concentration? Have problems organizing your schedule, responsibilities, and activities? How many of the above adult ADHD symptoms apply to you? If you checked the first four symptoms or six in total, research suggests that you are at an elevated risk for adult ADHD and may wish to seek a full ADHD assessment with a psychologist. Following the assessment, we will provide you with a detailed report of all findings, carefully explain the results and conclusions, and provide a detailed set of recommendations based on the results. We now have a very good understanding of what ADHD is and there are many effective treatments and strategies for greatly reducing the impact that ADHD has on your life. Ready to have your questions about adult ADHD answered? Are you considering getting assessment for adult ADHD? Do you live in the areas of Halifax, Bedford, or Clayton Park? If you have any questions about our service or our specialized testing, please contact us or complete the form below…we are happy to help you in any way we can.